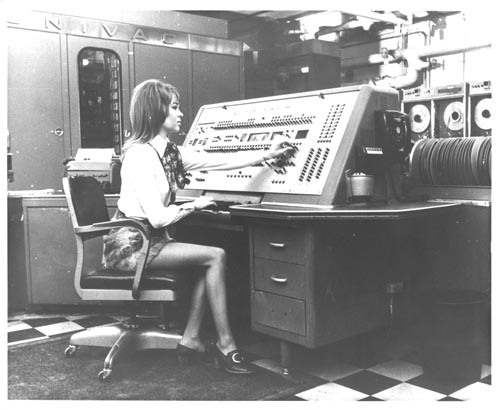 Black and white image a woman seated in front of the UNIVAC II console. In the background to the right are UNIVAC tape drives. To the left rear is the UNIVAC main computer. She has her left hand on console switches ane her right on keyboard.